Now that winter is in full effect, and temperatures are dropping, it’s time to bring out your chunky sweaters. I love bulky knits because they are comfortable, and warm. It is extremely cold outside, hence I find myself gravitating towards these types of knits. Harsh cold conditions make dressing up a little tricky during this time of year. 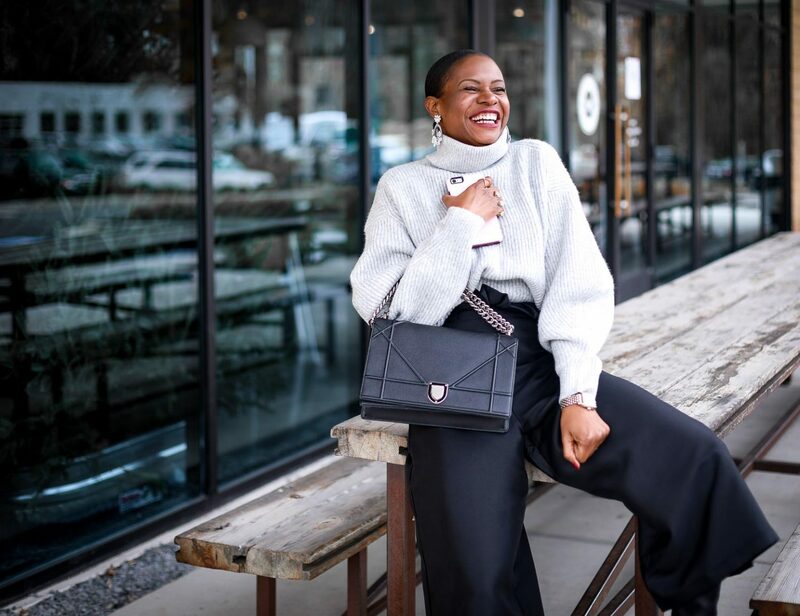 Luckily bulky sweaters are on trend, hence numerous brands are making slimmer, and more fashionable options. Details like the drop shoulders and cuff wrist add a stylish flare to these knits, creating a more flattering silhouette. 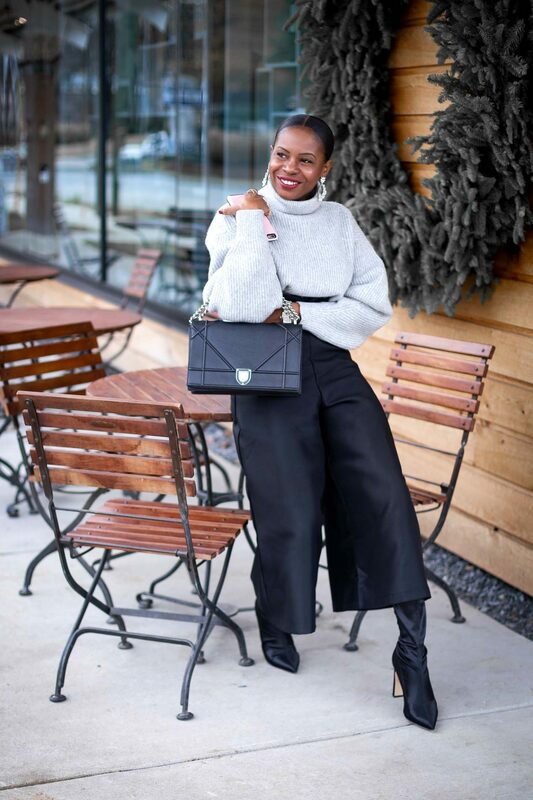 In today’s look I paired my grey sweater with semiformal high waist culottes. I tucked in the hem of the sweater to show off my waist. 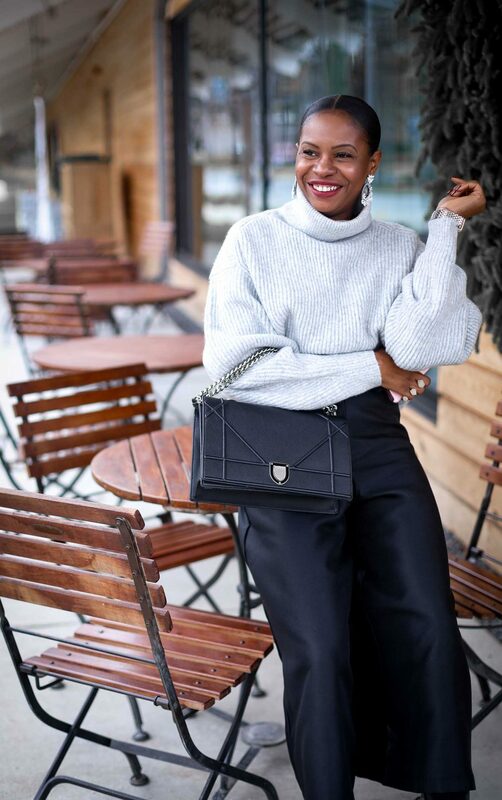 Tucking in your sweater or wearing a narrow bottom is important to make your chunky sweater look lean, and also dresses up the look. 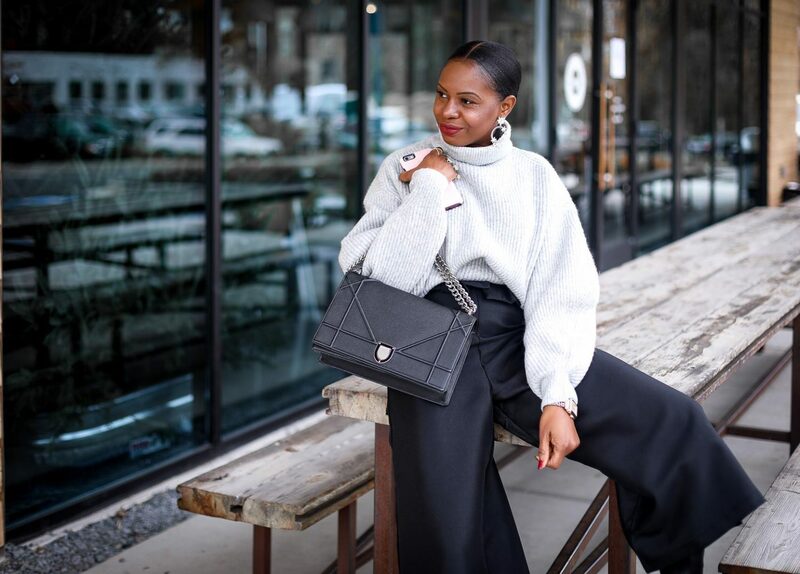 Lastly statement earrings in the same color-way serve as an extension of the sweater, elongating my entire silhouette. My statement earrings also dress up the look, giving it a formal vibe.